Come to Strolling of the Heifers’ fifth annual Get the Word Out Non-Profit Showcase! January 4, 2019 • 5:30-8:30 p.m.
During January’s Gallery Walk, come in to the River Garden to warm your spirits! 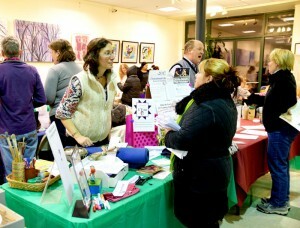 Meet representatives of local non-profits. Discover what the organizations do, how to obtain services from them, how to participate in their program, and how to volunteer.